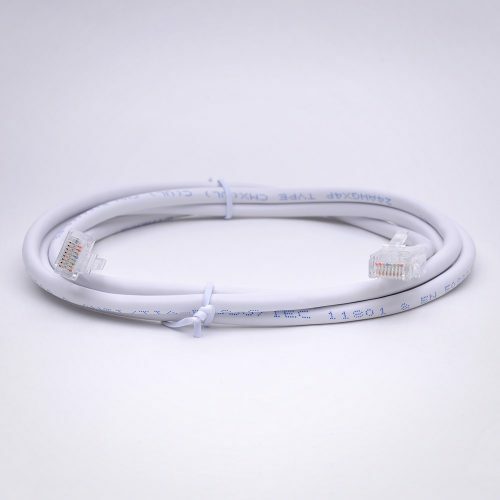 Cables are plenum-rated, solid conductor 24 AWG-CAT-3, pre-terminated with bent 3-tyne (prong) contacts straddling each conductor in RJ-45 connectors. Cables are straight through and terminated T568B wiring scheme. 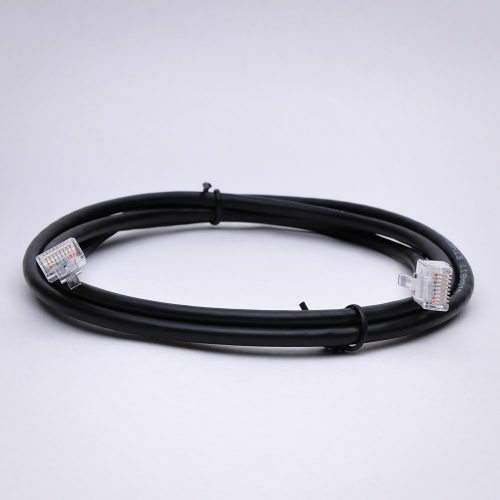 All cables are tested for continuity. Available in either white or black.